The first vehicle under investigation? The new Ranger. Ford has announced it has begun investigating the process in which it certifies emissions and fuel economy for vehicles in the US following concerns first brought up by its own employees last September. Those employees reported their concerns through the automaker’s internal Speak Up employee reporting channel. 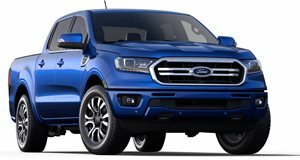 Ford says it has identified possible concerns as to how it calculates road load, starting with its new 2019 Ranger pickup truck. Other vehicle evaluations will follow. Ford has also hired an outside firm to conduct an investigation into the aforementioned concerns. In addition, it has retained independent industry technical experts and an independent lab to conduct additional testing. As of this writing, the automaker has yet to determine whether or not fuel economy emissions certifications have been affected, but it also stresses that "the investigation and potential concerns do not involve the use of defeat devices,” as was the case with Volkswagen. Ford did not indicate how long its own investigation, as well as that of the independent investigators, will last, but given the potential repercussions of inaccurate testing, chances are things will move at a fairly brisk and professional pace. The last thing Ford wants is a scandal of any type, but it no way does it appear, at least so far, there was any cover-up, like Dieselgate. If mistakes were made, then Ford has given every indication so far it will immediately acknowledge, correct, and prevent them from happening again.